Nominate a Health Care Angel today! Jackson, Michigan—Jackson native Mark Smith, MD, will be honored with the Distinguished Alumni Award at Grand Valley State University’s commencement ceremony later this month. The award goes to an alumnus who excels in their chosen profession and reflects favorably upon themselves, their community and the university. BROOKLYN, Mich. (March 28, 2019) — Michigan International Speedway is partnering with Henry Ford Health System to bring kids even closer to the drivers and all the action leading up to the start of the race with a FREE Pit and Driver Introduction Pass. Fans will also have the opportunity to utilize the new state-of-the-art Henry Ford Health System Infield Care Center. 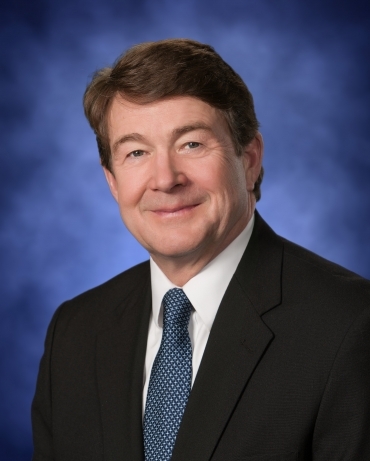 LANSING, Mich., March 26, 2019 – The Michigan Bankers Association (MBA) congratulates Craig Connor, Chairman and CEO of County National Bank (CNB) as the 2019 Banker of the Year. The MBA Board of Directors recognizes an industry leader as the MBA Banker of the Year based on their commitment to the Michigan Bankers Association, contributions to the industry, success of their bank, and a strong record of community service. 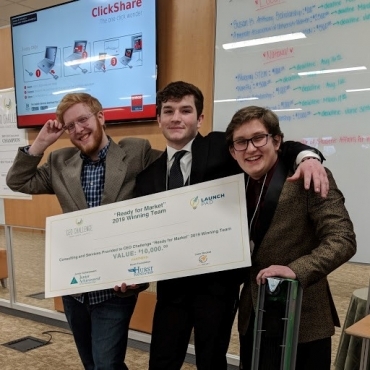 Jackson, MI: Junior Achievement of the Michigan Edge is excited to announce the winners of the 2019 CEO Challenge High School competition. The CEO Challenge is a collaborative community project spearheaded by Junior Achievement of the MI Edge, Inc and the Hurst Foundation to educate young people about entrepreneurship and entrepreneurial thinking. The project helps creative thinkers and aspiring entrepreneurs to develop skills in leadership, public speaking, team building and critical thinking. Join us in celebrating the 61st Annual Jackson County Rose Parade on Sunday June 2, 2019 at 1:00pm. The parade route will begin in downtown Jackson on South Jackson St. and Mason St. (near Austin Park) and end inside of Ella Sharp Park. This year’s parade theme is “Rockin’ to the 80’s”. Jackson, Michigan—Henry Ford Allegiance Health has finalized the purchase of a 40-acre parcel of land on Mt. Hope Road in Grass Lake. Immediate plans for the property include the construction of an outpatient surgery center that will serve as a hub for procedures that allow the patient to return home the same day. The luncheon is open to the general public at no cost and provides an opportunity to learn about the achievements from the previous year’s top contributing volunteers of AWARE Inc., and to meet staff and board members. March 7, 2019 (JACKSON, MI) – Over 60 building industry exports will fill the American 1 Events Center at the Jackson County Fair Grounds during the 43rd Annual Home & Lifestyle Show March 22, 23 and 24th. If you are planning a new home, a remodel project, or simple home improvements to your existing home, you won’t want to miss this local event. No matter the size or scope of your project, you’ll have an opportunity to talk with the pros about maintaining and improving your home improvement project. 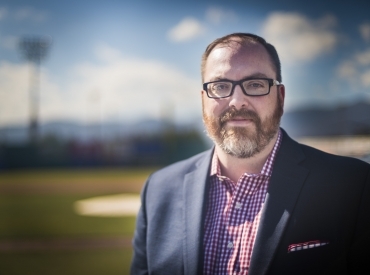 BROOKLYN, Mich. (March 7, 2019) — Michigan International Speedway recently named C. Ryan Shelton the Vice President of Business Operations. He has been named to the position effective April 16. Jackson, MI – American 1 Credit Union is pleased to announce their second sponsorship of a Talons Out Honor Flight, taking place on April 20, 2019. Talons Out is a 501(c)(3) and a regional hub of the national non-profit organization Honor Flight. Honor Flight volunteers serve Veterans with an all-expense paid trip to our nation’s capital where they tour monuments built in their honor.